No matter what your business or group require, we can outfit everyone in professionally branded apparel. Regardless of the size of your business from one employee to hundreds we will strive to fit within your budget. From t-shirts, polos or dress shirts to sweaters, jackets and hats, let us create custom branded apparel that your associates or members will be proud to wear. Woodstock Print carries the finest corporate apparel brands in the industry, with a wide variety of decorating options, which is sure to create a lasting impression with your customers and clients. With many different styles to choose from, Woodstock Print can outfit you with the latest in high visibility safety apparel. 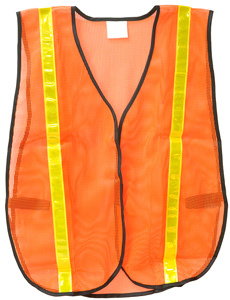 We represent three major suppliers for high visibility long and short sleeve T-shirts, safety vests, hoodies and jackets. Items can be decorated with your choice of embroidery or screen print. From baseball hats to team jerseys, we can outfit your entire team with the latest in fashions from some of the best suppliers in the industry. Give us a call or come on by to see the what we have to offer.